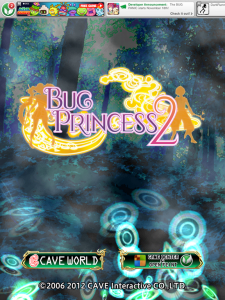 Bug Princess 2 ($4.99) by CAVE CO.,LTD. 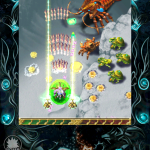 has you riding a giant flying bug into battle against all sorts of various enemies, including bugs, dragons, dinosaurs, flying islands, and just about anything else that you can see amid the hellfire of energy blasts, bullets, and missiles in this follow up to the first Bug Princess title. Did you get a little winded reading that first sentence? That’s kind of like the sensory overload this game offers. 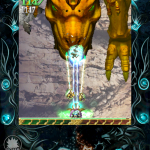 But then, what else would expect from a bullet hell game? 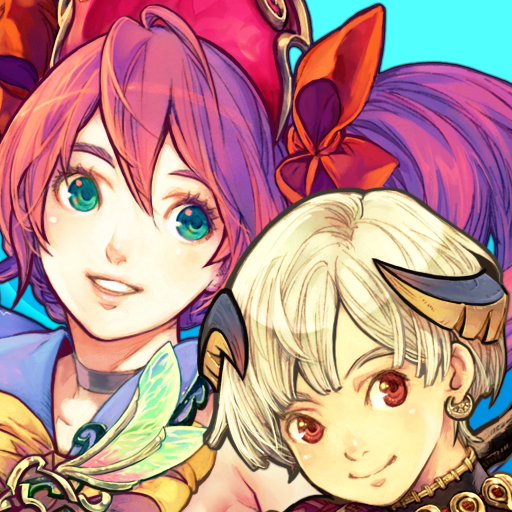 Play as Reco, with her noble bug-steed Kiniro, or Palm and his dragon Hirow. 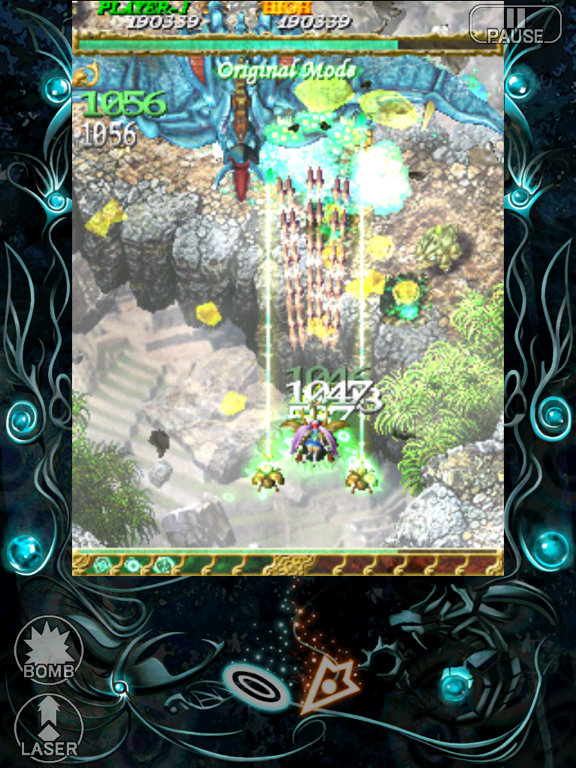 Reco will shoot in a fan-type spread, while Palm uses a “tri method” of firing. 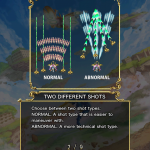 In addition to the character’s shooting style, you can customize the shooting pattern to either be normal or abnormal. 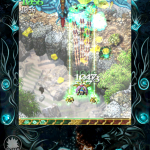 Normal will have two buddies flying on each side to help blast away the baddies. 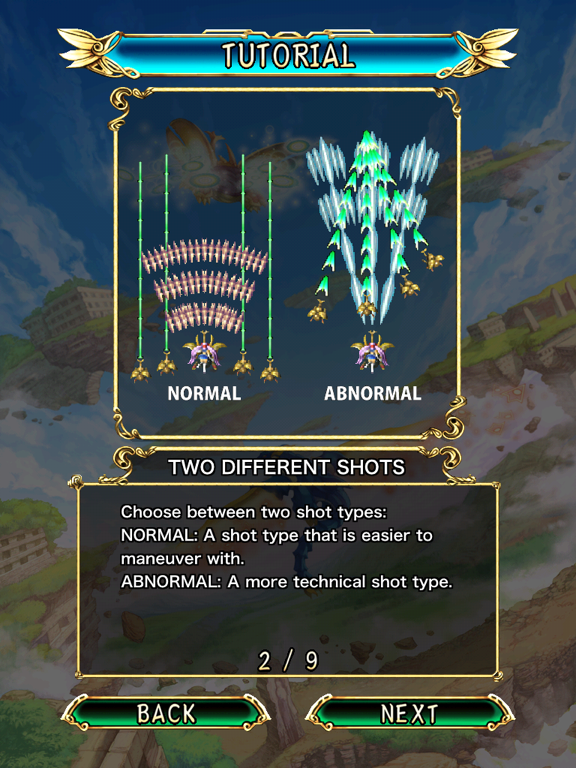 The abnormal mode is described as being stronger than the other mode (once you actually get used to it). I’m sure the more seasoned gamers will gravitate toward this one. You don’t even need to worry about shooting because it’s done automatically and it never stops. 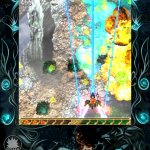 However, you can choose between “shot” mode (fire in a spray pattern) or “laser” mode (shooting is concentrated forward). Just point in a direction and stuff blows up. 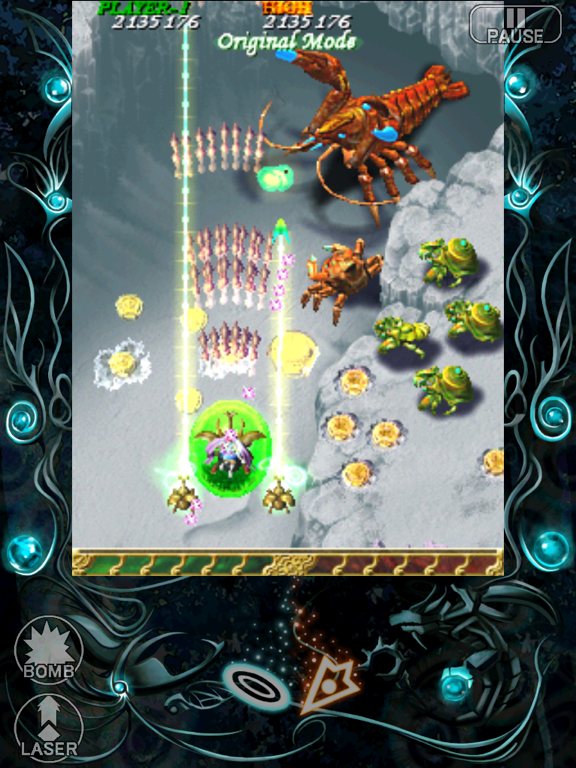 This is definitely an addictive game. It’s hard not to get caught up in all of the explosions and stuff flying around. I found that I lasted longer playing as Palm and his shooting style, but the fact that you even have that choice (among others) is great. 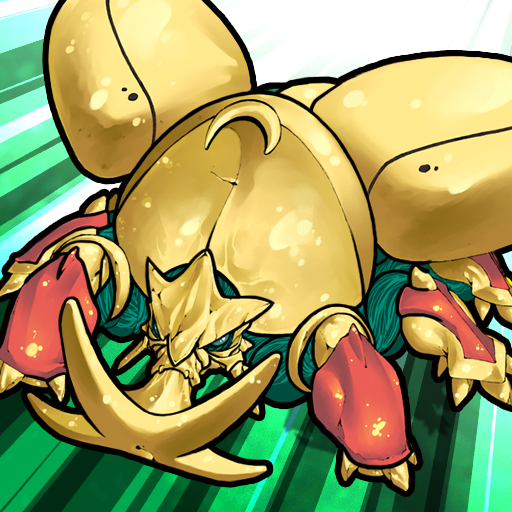 Those who played Bug Princess will definitely want to pick this one up. 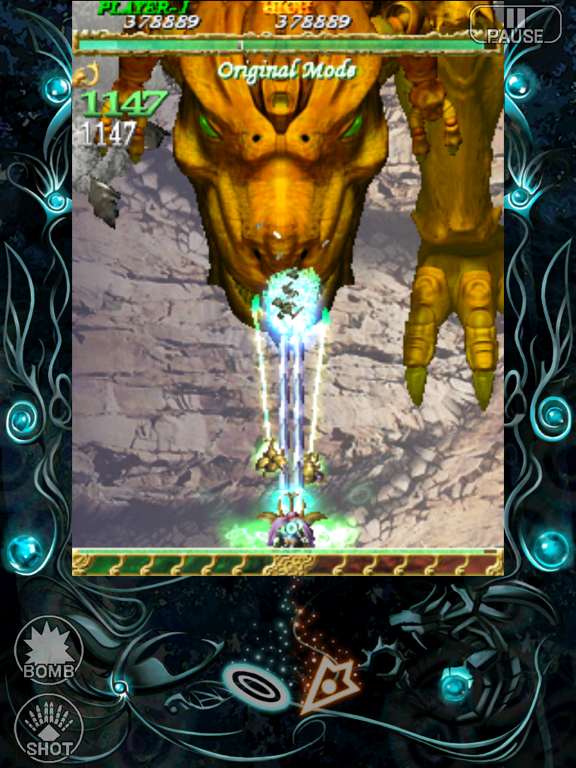 With all of the customizations for gameplay available, you can make the game as easy or as insane as you’d like. 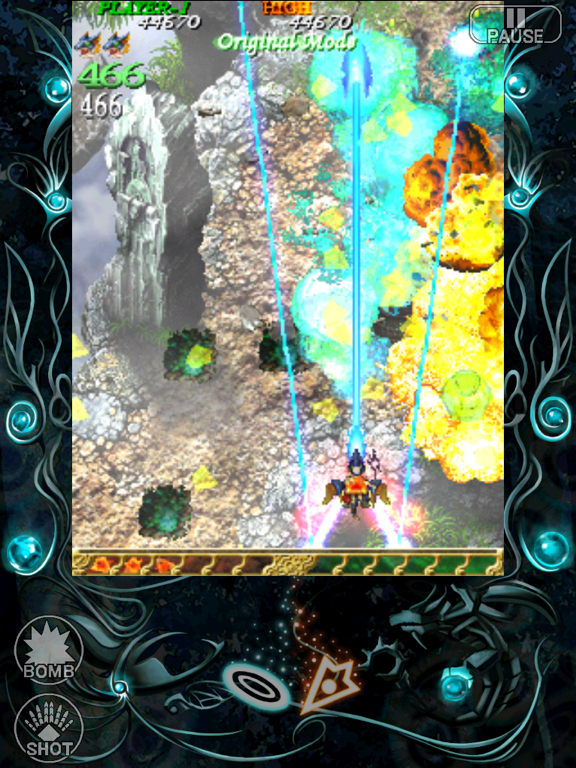 The app is so intensive that anyone wishing to play it will need to be semi-up-to-date on their version of iOS and model of iDevice.